When it comes to organizing your jewelry, it is important to know that there are various solutions to use, but you need to pay attention to the style. 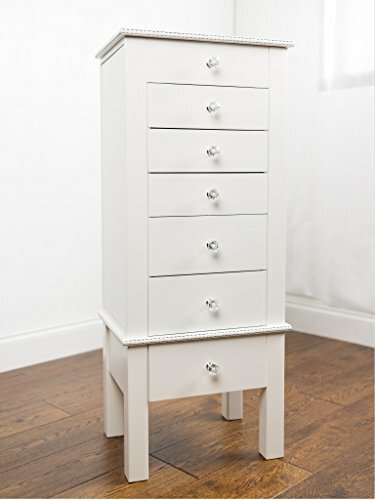 Hence, if you want to achieve an elegant look, then you may want to consider organizing your jewelry and fashion accessories in White Jewelry Armoires. You probably know that there are various types and styles of jewelry armoires. Basically, they vary depending on certain factors, which include the size, shape, design, style, color, materials used, security features and other features. 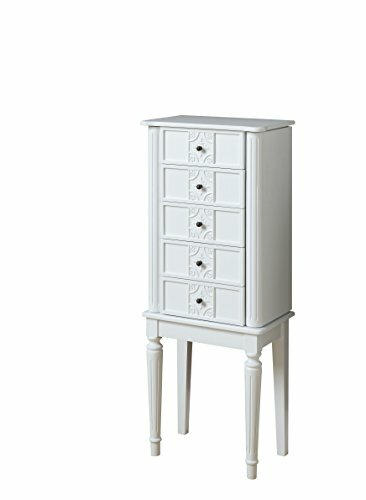 However, if you want to add a sophisticated note to your room, then the white jewelry armoires are just ideal. Due to their white finish, they create a magnificent ambiance. In our selection of white jewelry armoire, you’ll find various styles and types of jewelry armoires, to cater to your specific needs. 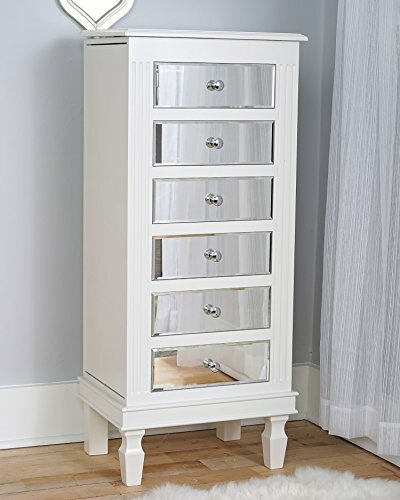 So now that you decided upon the color, it is time for you to go on with the other options regarding the armoire that you’ll use to organize your collection of jewelry and other accessories. 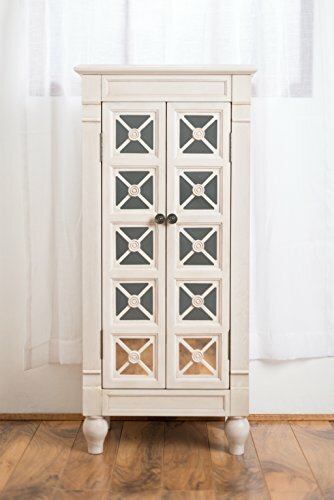 Depending on the type of armoire that you choose, you will get various benefits. Some of them have larger storage spaces, whilst others also provide you with small compartments. 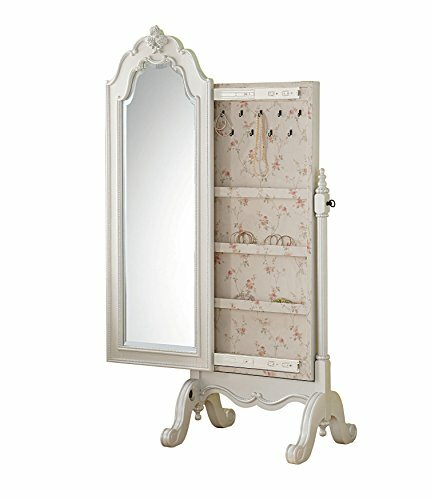 This variation offers you the chance to get that armoire that will safely hold your valuables. While some of them are classic and thus ready to create a vintage look in your room, others feature a more contemporary design, with modern features. 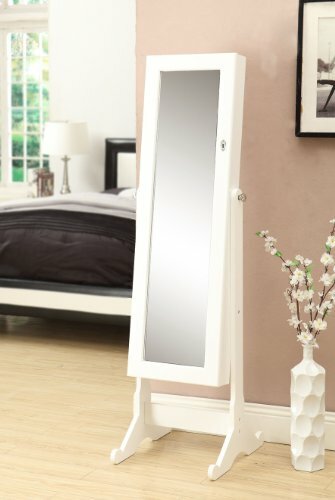 Some of the jewelry armoires in our collection are complemented with hidden spaces, interior mirrors, or with side swinging doors that provide you with extra storage spaces for your favorite jewelry and accessories. With such a diversity of white jewelry armoires, you will definitely find the one that caters to your needs and matches your room’s style.